We’d love your help. Let us know what’s wrong with this preview of The New York Stories of Edith Wharton by Edith Wharton. 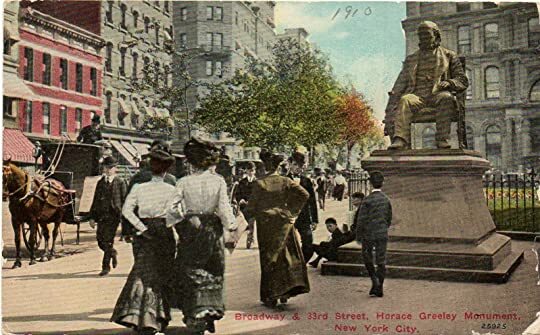 To ask other readers questions about The New York Stories of Edith Wharton, please sign up. 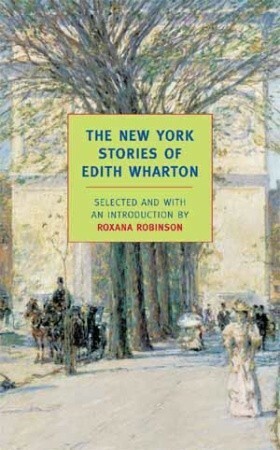 This New York Review Books edition collects twenty classic Edith Wharton (1862-1937) short stories spanning the entire range of her writing career and also includes a most informative twenty-two page Introduction by Roxana Robinson, providing biographical detail and extensive social and cultural context for her fiction. “The view from Mrs. Manstey’s window was not a striking one, but to her at least it was full of interest and beauty.” So begins this tale, the very first Edith Wharton short story to appear in print. And what a story! I suspect nearly all of us have encountered what Nietzsche described as the “improvers of mankind,” the unending stream of land developers who tear out trees, shrubs, flowers and anything else standing in the way of “progress" - and that’s progress in the sense of more buildings, more houses, more roads, more of everything that can, among other virtues, add to that supreme virtue – money making! Anyway, old, lonely Mrs. Manstey (her husband died and her daughter moved far away) is confronted with Mrs. Black’s plan to build a new multi-story extension thus blotting out the beautiful view Mrs. Manstey has enjoyed over the past many years at her window at the rear of her third floor apartment. The meeting and confrontation of Mrs. Manstey with Mrs. Black is so telling about the American economic mindset. I’m sure the dynamics of money vs. community interests, including value placed on something as uneconomical as beauty and aesthetic appreciation has played itself out thousands of time since the publication of this short story. And what does Mrs. Manstey actually do to combat the extension? Never underestimate a lonely, old lady who is about to lose her one last connection to life and beauty! Mrs. Fontage is but one person in the equation. There is also Eleanor Copt, his cousin who introduced him to this lady in the first place, Eleanor’s rich friend and last but hardly least, Crozier, a key member of the museum’s influential committee. One of the most sophisticated stories you will ever read about weighing human emotions on one side and individual financial responsibility on the other. Turns out, Mrs. Slade has something of an ax to grind, that is, she has a decided tendency to play the game of one-upmanship and she simply can’t check herself in establishing her superiority over her friend Mrs. Ansley. I wouldn’t want to say anything further about the story (it is simply too wonderful to spoil a reader's own experience); rather, I will note the more I read, the more I was pulled in. And the ending – no question, this must be one of the strongest ending sentences a short story writer has ever penned. Wow! What a phenomenal punch! Twenty sparkling stories, shining a critical, satirical eye on NY society relationships in the first third of the 20th century. Wharton is an engaging storyteller who doesn’t over-explain or give trite, tidy, predictable endings. Eight 5*, seven 4*, and five 3*. There are similarities of themes and style, including echoes of Wilde. See my ‘Write Your Own Wharton’ HERE, which includes a brief bio. Hidden for brevity. Plot spoilers are nested in another spoiler tag. (vi Twenty sparkling stories, shining a critical, satirical eye on NY society relationships in the first third of the 20th century. Wharton is an engaging storyteller who doesn’t over-explain or give trite, tidy, predictable endings. Eight 5*, seven 4*, and five 3*. There are similarities of themes and style, including echoes of Wilde. See my ‘Write Your Own Wharton’ HERE, which includes a brief bio. An understated gem about finding and defending beauty where others don't even look. Mrs Manstey is an impoverished widow who rarely leaves her lodgings, but loves her “view in which the most optimistic eye would at first have failed to discover anything admirable”. Rear Window came to mind. An unengaging start to an exploration of ends and means: doing something bad so “that good may come”. Can dishonourably earned money be purified by being spent on higher things, or are those things, and their creator, tainted? I preferred the writing and imagery to the story of two youngish men, trying to make it as writers, one supporting a widowed mother and teenage sister. The contrast of purity versus commerce is heightened by money being needed for a confirmation dress. Should a portrait be the ideal (“rose-water pastels”) or warts and all? Lillo infamously does the latter, but struggles with a known crook, who is idolised by his ever-present daughter. Should he paint what he sees, or what she sees? The disconnect between portrait and reality reminded me of Dorian Grey, despite no magical-realism. Exquisite, affectionate attention to the minutiae of NY society: a waspish examination of attitudes to money and marriage, wrapped a moral tale that is beautiful, tragic, and hopeful, without being sentimental. * “The Freemasonry of failure” among the people on the street. A claustrophobic story of a literal and metaphorical journey. A couple are crushed by: illness transforming their recent marriage; the physical confines of a sleeper train; the need to be polite to well-intentioned strangers; and by terror of what's to come. The ambiguous ending was welcome release. * “Their imperceptible estrangement… the conductivity between them was broken”, as if separated by a pane of glass. * A teacher “forced innutritious facts upon reluctant children”. * Newlyweds start with “prodigal confidence in an exhaustless future”. An art-related dilemma about valuing a Rembrandt, belonging to an impoverished woman. Professional honesty versus natural compassion, and the likely consequences of each. The plot is mostly predictable, but Mrs Fontage is a glorious, self-composed, imposing creation: the story is a joy. * The “beneficent despotism” of a cousin for whom “none of the ready-made virtues ever had fitted”. The social and personal problems of a partner's multiple exes: the effect they had in the past, and the ongoing effect on your life together. It’s very civilised, but turns almost to farce. The wife admits to being 35. (“Thirty-five is a very attractive age. London society is full of women of the very highest birth who have, of their own free choice, remained thirty-five for years” Lady Bracknell in Wilde’s Importance of Being Earnest (my review here). She has two previous husbands, both living, one of whom is the father of her daughter. The story juggles feminist and traditional themes, reflecting the social changes of the time (1904). * “New York divorce is in itself a diploma of virtue.” Like one of Wilde’s contrary quips. A dilemma about the power of money, comfort, and the gutter press to beguile and corrupt, and whether one can appease by applying rose-tinted spectacles, preventing others making similar mistakes, and/or through philanthropy. It has a moral without being moralistic: be true to yourself, eschew “the habit of luxury”, and find comfort in beauty, rather than riches. The title suggests a charming rogue, but the man is more of a Pick-Up Artist. He enjoys casual relationships, based on untruths, and trains his subjects to his whims. Focus on how cold and clinical every word bar the fillers is. A very modern couple preach the gospel of “fidelity to oneself” over conventional ties to a spouse. But theory is easier than practice, and trying to turn “disobedience into a law” inevitably elevates a petard. A dull plot, with witty, incisive social observations: the perils being misunderstood by an sympathetic spouse; the significance of how one enters a room; literary success achieved via controversy, censure, and perhaps rivalry; and a duller subplot about a new chancery window. Mrs Fetherel’s mission is to expose “the hollowness of social conventions” via her novel with the scandalous title, “Fast and Loose” (also the title of a story Wharton wrote, aged 15). Her doting uncle (a bishop and fellow writer) feels it his duty to have words with her. Is it better to prostitute one’s talent, or have no talent to sacrifice? I wasn’t instantly enamoured of this story, and reading the cod Yiddish? accent of the art dealer annoyed me. But I was won over by the impoverished artists, torn between staying true to their ideals and the need to heat and eat by painting “ladies in syrup… with marshmallow children against their knees”, to fit the fashion. There’s love, rivalry, and bitter irony. Mason Grew is a successful, self-made man who lives vicariously through the professional and social success of his son, followed via newspaper columns. “He was what Mr Grew had dreamed of being.” He also lives in the past, with memories and mementos of his late wife. The lines blur. The first twist is predictable, the second, left me wondering what was true and what was fiction. Is it preferable to be poor and brilliant, or lauded for mediocrity? A man's first novel means "his success began to submerge him", unlike his friend, a superior writer, who remains “unpardonably, irremediably poor”. Guilt, face-saving, and empathy twist and writhe. * “A shining sanctuary where his great porcelain bath proffered its renovating flood.” He no longer needed to “identify one’s soap and nailbrush among the promiscuous implements of ablution”. A brilliant, heart-wrenching encapsulation of changing attitudes to marriage and divorce, comparing the experiences of mother and daughter. After divorce, Mrs Lidcote went into voluntary exile in Europe. She returns to NY, anxious about the wedding of her divorced daughter, Leila. The mother doesn’t know her place in the new order: her daughter is not shamed, so doesn’t need support. Worse, a shabby mother is an embarrassment in Leila’s elevated social circles. Mrs Lidcote begins to resent her own lost years, and wonder if it’s too late. Two people appear sympathetic to her predicaments: one tells tactful untruths to veil painful reality; the other is selfishly, subtly manipulative, using duplicity disguised as concern. What’s the difference between friendship and love, and should one imperil one’s place in society, or “play the game”, with everyone knowing, but turning a blind eye? This is a first-person narration (two, really), unlike the others here. A man returns to NY, after a dozen years away, renewing friendships with a friend from university and a former muse. There were some great one-liners, but as a story, it lacked something. Or perhaps I’d overdosed on Wharton. * “How we sneer at women for wanting the thing that gives them half their attraction” (a home and a little luxury). * “One way to find out whether a risk is worth taking is not to take it” and see what happens in the long run. * “Even Mrs Cumnor’s door-knobs had tact and didn’t tell”, so it’s easy to slip away. I thought this was going to be horror, with echoes of Jekyll and Hyde, but it takes a different turn: poignant, heartbreaking, beautiful. It’s a glimpse into failing minds, cushioned by old retainers, devotedly playing along. Not just white lies, but golden ones. Reality is as slippery for the reader as the protagonists. The situation is worse for the one who has some awareness of what's slipping away. On 3 June 2017, my husband was on London Bridge, as a terrorist drove a van into people, came towards him, then swerved away. Two days later, I read this story, and was grateful he escaped untouched - and heartbroken for those who did not. Death can be sudden and unexpected. Or not. Don't be so afraid of dying that you stop living. Seize the day. All the days. Be kind and grateful. An ageing bachelor's ill-health, makes him unable to enjoy life as he used to. Unlike Ebenezer Le Page who “died alive” (see my review here), Paul Dorrance lives as if dead. Matters are exacerbated by his being too trusting of his doctors, rather like Bunbury in The Importance of Being Earnest (my review here), who "seems to have had great confidence in the opinion of his physicians." The final twist puts it in a different genre (think of pomegranate seeds in Greek myth). However, it was du Maurier’s Rebecca that came firmly to mind, and though du Maurier was younger than Wharton, her novel was published in 1928, three years before this. Here, a heartbroken widower and father has been married for a year to a new wife, to whom he is devoted. But there is one troubling thing that he won’t discuss: (view spoiler)[occasional letters, in grey envelopes, with distinctive handwriting (hide spoiler)]. Two middle-aged widows, who’ve been intimate since a chance encounter in Rome as children, and lived opposite each other for their early married years, meet again in Rome. They compare lives and daughters out loud and in their minds. How little they really know each other. Small irritations aggravate envy and and expose secrets. The final sentence packs a punch. In this collection of short stories, Edith Wharton ploughs a furrow through the milieu of high society in early twentieth century New York. I must confess that I didn’t immediately warm to her ornamented, yet judicious, prose and at the onset likened her writing style to Oscar Wilde with the brakes on. Happily, fickle fool that I am, I quickly became attuned to the tempo of her penmanship and "There are two ways of spreading light: to be the candle or the mirror that reflects it." Happily, fickle fool that I am, I quickly became attuned to the tempo of her penmanship and was won over with ease. Wharton writes with precision and aplomb. Style-wise, I would compare her to Leo Tolstoy. For me though, her secret superpower is that she has a psychologist’s understanding of the capriciousness of the human condition. She is as fond of a moralistic tale as Aesop himself and almost all of entitled humanity is here: socialites, artists, writers, snobs, altruists and dowagers (the incomparable Bette Davis sprung to mind on more than one occasion). Overall, I thoroughly enjoyed the author’s polished social commentaries. She allows her characters to live for themselves in our minds, while they're not afforded the same freedom in their fictional lives. @Laysee, whose wonderful review beguiled me and drew me to the book in the first place, cleverly noted that Wharton’s craft involved ‘never telling, but showing’. This is so true. The author very often leaves room for ambiguity, using allusion to contrive a symbiotic relationship with the reader, where they have to share the workload and fill in the dots. There are many wonderful stories here, some that I vaingloriously thought I could see straight through, only to be proved completely wrong (which I like). The only misgiving I have is that there isn’t much here in the way of variety (this is not the Heinz 57 of short stories). It does become somewhat repetitive after a while. But, with writing this good, how could I award it anything but five stars? And thank you, @Cecily, for being my buddy reader. The New York Stories of Edith Wharton is a collection of twenty stories par excellence written from 1891 to 1934 that offers an incisive and unsparing social commentary on Old New York. An introduction by Roxanna Robinson acquaints us with Wharton’s life among the privileged and fashionable upper crust of society, its suffocating Puritan values, the conflict she felt between the formal restraint of an insular world and her quest for freedom of thought and ideas, her unfulfilling marriage and eve The New York Stories of Edith Wharton is a collection of twenty stories par excellence written from 1891 to 1934 that offers an incisive and unsparing social commentary on Old New York. An introduction by Roxanna Robinson acquaints us with Wharton’s life among the privileged and fashionable upper crust of society, its suffocating Puritan values, the conflict she felt between the formal restraint of an insular world and her quest for freedom of thought and ideas, her unfulfilling marriage and eventual divorce. In this collection of stories, Wharton drew richly from the lessons of life forged in the crucible of her bitter-sweet experiences in New York and later Europe. Each story is a gem in its own right and exceedingly well told. Wharton's prose is vivid and powerful. It has a searching quality that throws light on human intent and motivation, often times hidden even from her characters. Themes touch on the world of artists/writers (idealism versus pragmatism); the complexities of love and pain; marriage, adultery, and the consequences of divorce (a social expunction of sorts); the plight of women both privileged and impoverished; the struggles between nobility and hypocrisy. The subtleties of human behavior are thrust into the open with the surest touch of irony and humor. The ending of each story packs a punch and a few had me wanting to punch the air in jubilation. Below are brief reviews of the stories I found impressive. This is potent story about jealousy and viciousness women are capable of when they are in love with the same man. Two widows who had known each other since girlhood, Mrs. Slade and Mrs. Ashley, are having lunch on the terrace of a lovely restaurant in Rome. We were told that "these two ladies visualized each other, each through the wrong end of her little telescope." Mrs. Slade has an old score to settle with Mrs. Ashley whom she thinks was once in love with her fiancé and later husband. She confronts her unsuspecting friend in the most spiteful and vindictive fashion. Oh, you have to read the brilliant ending. It is the most satisfying I have ever come across in any short story. This is a funny but sad story of an old man and old woman struggling to keep up appearances of being socially active and important. Mr. Anson Warley is a pale, white-haired, stiff-limbed man in perfect evening clothes and prides himself on being present "only at the right houses... (with) the right people - the right setting - the right wines". Mrs. Evelina Jasper is once NY's "leading hostess" and she still holds dinners, albeit imaginary ones, in a "tiara askew on her purple wig". To Mrs. Jaspar’s dinner invitations, Warley’s scornful response is "Mr Warley declines the boredom." How do old folks maintain social respectability when health and wealth have failed them? Hilarity is mingled with sadness when we witness how the servants collude in the circus of pretense that helps the aging poor maintain their respectability. One cold winter’s night, however, dinner at Mrs. Jaspar’s is extra special. This is a moving story about the temptations of hankering after high society and the moral cost of such a pursuit. Woburn, a bank cashier, has embezzled company funds in a desperate bid to court and impress a wealthy young lady. He is about to board a ship for Canada before his theft is discovered and dreading the impending exile, he spends a night at a hotel. However, he hears a woman in the next room crying and intervenes in time before she kills herself over an indiscretion. The ending is not what I expected but it left me with moist eyes. This is a story about truth versus compassion in the world of art. A museum curator is invited to a brown stone house belonging to Mrs. Fontage that has seen better days. His task is to put a value on a painting thought to be a Rembrandt, an heirloom of the once splendidly cultured and well connected family. The painting holds romantic memories for the old dame and it is obvious that selling it is an extremely painful last option. The curator is caught in a bind: "Reason argued that it was more cruel to deceive Mrs. Fontage than to tell her the truth; but that merely proved the inferiority of reason to instinct in situations involving any concessions to the emotions." How should the curator uphold the integrity of his profession? At what price is human decency? Another poignant story that carries the same theme is The Portrait. This is a story about the perils of publishing and the anguish authors experience on account of their readers' response to their books. It also reveals that a truly great book may not be appreciated by the vast non-discerning majority with under-developed literary sense. On the other hand, a book that is well received and sells well may not have literary merit. How then does an author judge the value of his creative work? Geoffrey Betton writes a successful debut novel and grows smug from the adulation of his fans. Duncan Vyse, a Havard schoolmate of Betton, did not get published and might have if Betton had remembered to send Vyse's very credible manuscript to a publisher friend. Struggling with poverty, Vyse becomes Betton's secretary with the responsibility of writing replies to his fan mail and is given a free hand to reply to discourage further correspondence. Betton's second book, however, fails to impress and his fan mail drops. Both Vyse and Betton try to protect their self-interest: Vyse his job and Betton his face. 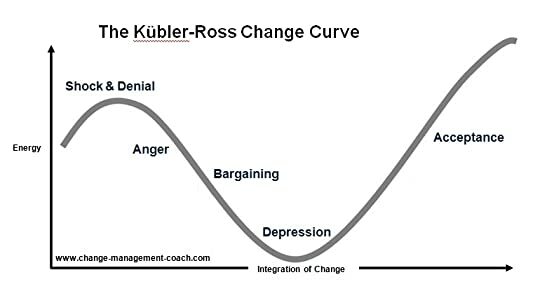 Their respective “solution” to this unpleasant quandary is hilarious and sobering at the same time. No-it was always the same thing, over and over and over again-the same vague gush of adjectives, the same incorrigible tendency to estimate his effort according to each writer’s personal preferences, instead of regarding it as a work of art, a thing to be measured by fixed standards! So goes another of my reviews…. This is an interesting collection of 20 short stories from Edith Wharton, spanning a long period from 1893 to 1934. Her style and content is consistent throughout the years and it is ha No-it was always the same thing, over and over and over again-the same vague gush of adjectives, the same incorrigible tendency to estimate his effort according to each writer’s personal preferences, instead of regarding it as a work of art, a thing to be measured by fixed standards! This is an interesting collection of 20 short stories from Edith Wharton, spanning a long period from 1893 to 1934. Her style and content is consistent throughout the years and it is hard to tell which time period the stories are from. Wharton is a terrific writer. The stories are fairly complex yet she is able to handle the content with sensitivity and adroitness. My only complaint is that some themes and situations were far removed and failed to resonate. Those themes would probably have been more relevant at the time. where for a moment one can abandon one’s self to the illusion that New York humanity is a shade less unstable than its bricks and mortar. The stories are all set in New York. 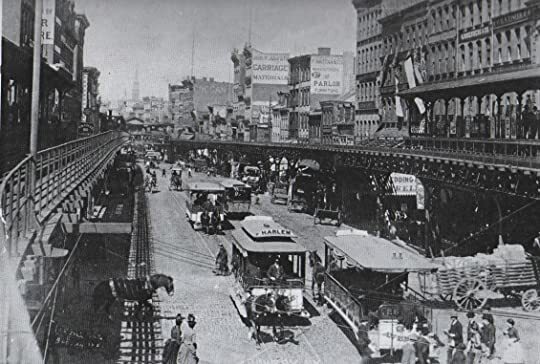 But while one might expect a vivid picture of the city at the turn of the 19th century, we only get furtive snapshots of the physical side of New York. After somewhat brief descriptions, we are ushered into the inner sanctum of upper crust New York society. The stories are very much more about the culture and societal norms, also more of high society rather than something out of The Five Points. Certain themes feature prominently. There were themes concerning marital relationships: marriage, divorce, remarriage, infidelity, affairs. There were family relationships, especially failed ones. Her characters often suffer hurts and disappointments, leading on to a strong desire for redemption. Deception is another recurring theme, whether deceiving one-self or others. Many of her stories have twists at the end, some predictable and some unexpected. But all the endings come with a heavy dose of irony. My favourite story was not one of the more well known ones, Diagnosis. How would you live your life if you knew you had a terminal illness? For Paul Dorrance, it was to marry his soulmate, Eleanor, who happened to be married to someone else. More interestingly, is what would you then do if you subsequently found out that you did not have a terminal illness? Respect to Paul, in that he remains faithful by not responding to a girl who expresses interest in him. Only now, at the foot of the stairs, did he see the future facing him, and understand he knew no more how to prepare for the return to life than he had for the leaving it…. There is another twist to the story, but the story was compelling enough, even without it. And some brief notes about some of the other stories. Mrs Manstey’s View. A personal triumph or self-deception, one which has little impact on the real world. The Protrait. Seemed a bit metaphorical. A portrait artist who reveals inner traits like a special mirror. A daughter seeking redemption for her father. A Journey. How disease may alter a person and his/her relationships. In the end, practicalities outlast the sentimental. The Rembrandt. This is one of a minority of stories with a feel good outcome. The Reckoning. A husband leaves his remarried wife for a younger woman. A new self-centred marriage ethic. Expiation. Could this be Wharton’s own experiences as a writer? The Pot-Boiler. Kate chooses the less talented Mungold who makes more money than Stanwell, whom she accuses of prostituting his art. But just who is selling out? His Father’s Son. Self effacing father living vicariously through his son. Autre Temps. Like a companion peace to Father’s Son. Mrs Lidcote projects her own failures on to her daughter, who has a very different view. After Holbein. Duality and self-deception. I love reading Edith Wharton. I have said before that I consider her one of the great American writers, on a level with Fitzgerald and Hemingway. I like her novels better than her short stories but there are some good ones in this book. She was at her best when writing about New York as she does here with these stories. I have been reading these stories in between novels. When I read short stories, especially these by Edith Wharton, I prefer not to read them all consecutively, so they don't blur together. Edith Wharton is a perfect example of a timeless writer, although she is writing about a specific time. She writes about Old New York with its high class society, a society she was a member of. She doesn't mind poking a little fun at them. She sees these " high browed" people of society- she sees the 4.5 Stars. Edith Wharton is a perfect example of a timeless writer, although she is writing about a specific time. She writes about Old New York with its high class society, a society she was a member of. She doesn't mind poking a little fun at them. She sees these " high browed" people of society- she sees their prejudices, their expectations and their weaknesses. She writes memorable characters in these stories. Mrs. Manstey, in the first story, " Mrs. Manstey's View", was a woman who had so little in her life, but the view from her window was enough to sustain her. Mrs. Fetherell, the author who writes a book that is considered "a pretty book", feels this as an embarrassment. But after the book is denounced, it becomes a huge success. The author rivalry in this book was pretty humorous. Mrs. Lidcote, who is ostracized by "her" society because of a past misdeed. The two women in "Roman Fever", who supposedly are lifelong friends, hold secrets and animosity between them. These are a few of the people she characterized beautifully. She has a way of writing that makes every person you encounter in these pages real and authentic. Overall, I enjoyed all the stories in the collection, with some more than others. "....but the week at sea had given her too much time to think of things and had left her too long alone with the past." " The contrast between the soulless roar of New York, its devouring blaze of light, the oppression of its congested traffic, congested houses, lives, minds and this veiled sanctuary she called home, always stirred her profoundly." Cheri Such a fine review, Antoinette, you said everything I needed and wanted to hear! Really, really good. Anthologies of stories are always going to be somewhat patchy - not every story is as much to one's taste as the others, but this set of stories had quite a few that really struck me, and in general, I really like the way that Wharton writes - definitely will be seeking out her novels soon. That said, her style is definitely not going to be good for everyone - in the introduction, Roxana Robinson describes uses the phrase 'crystalline brilliance', which tells you most of what Really, really good. Anthologies of stories are always going to be somewhat patchy - not every story is as much to one's taste as the others, but this set of stories had quite a few that really struck me, and in general, I really like the way that Wharton writes - definitely will be seeking out her novels soon. That said, her style is definitely not going to be good for everyone - in the introduction, Roxana Robinson describes uses the phrase 'crystalline brilliance', which tells you most of what you need to know. It's measured, formal, and quite precise... perhaps frosty, and emotions are carefully tucked away and have, to some extent, to be ferreted out. 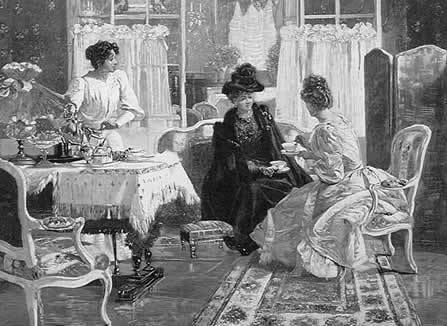 Which really is the point, of course - these are stories of New York high society in the turn of the century: the formal manners you'd see in Austen's high society coupled with all the strict Calvinism of Presbyterians. And odd place, but definitely an interesting one. A bunch of the stories stood out in particular - That Good May Come, to start with, for the ethical questions it left you hanging with, the Journey, for the eeriness of the writing (it really conjures up a strange and scary world), the Other Two, because it's quietly hilarious (third husband of a woman finds himself unable to keep from running into her first two husbands... the concept doesn't even need to be a time when divorce was far more complicated than it is now to be great fun), and After Holbein for its gentle macabre story that Makes Strokes Fun, to single out a few. My absolute favourite story, though, and one that I actually kept on pausing during reading to savour and prolong the enjoyment, was the Dilettante. Powerful, kinda upsetting, and very affecting tale of one hell of a fucked up relationship, an epiphany that probably doesn't really get all the way through into the protagonist's skull, and a set of character sketches that rivals some of the Dubliners stories (e.g. a Painful Case, which has some similarities to this one, and is probably my favourite of those stories. Go figure). Always love a trip to Wharton or James' New York... short stories are easy for a short read, or longer if you have a morning to kill. Love the twist Wharton always has to her stories. The last line of this collection is a good one. I love Edith Wharton but many of the stories in here didn't seem like her best work. Favorites were: A Cup of Cold Water, The Quicksand, The Rembrandt, After Holbein, Pomegranate Seed, and Roman Fever. Wharton was a bit of a badass for her time. This was an interesting book to read, as the stories are arranged in the order they were written. I sensed her maturation as a reader, both in terms of her subject matter and the plots of the stories. I loved the stories that engaged with visual art. She also, of course, is always fascinated by class and gender. The early stories have a kind of O'Henry feel to the them. The later stories are more sophisticated. Some of the stories are quite long. There was actually a kind of ghost story later in This was an interesting book to read, as the stories are arranged in the order they were written. I sensed her maturation as a reader, both in terms of her subject matter and the plots of the stories. I loved the stories that engaged with visual art. She also, of course, is always fascinated by class and gender. The early stories have a kind of O'Henry feel to the them. The later stories are more sophisticated. Some of the stories are quite long. There was actually a kind of ghost story later in the book, which surprised me. Oh snap! Miss Jones will teach you a thing or two about class, society, and what it means to be a woman. And her New York is possibly the most romantic New York of all time. If you can, try to read each story in the neighborhoods in which it's set. Better yet, throw on a bustle, huff on a little ether, and horse-and-buggy yourself around in character(s)! What a delight. I want to kiss Wharton for having written this stuff when she did. And we thought free thinking females were an invention of the 60s... She understands people. She's not afraid to write from a male pov. She's so good at making you enter the world of her characters. A different New York, but in some ways, the same one. I hate this star system; never liked grading students either...EW a master of prose and such a clear, insightful social lens. The good stories are riveting and profound; a few did not compel me at all...but that's how it should be. Supern Intro by the wonderful contemporary novelist, Roxana Robinson. Edith Wharton led a pretty troubled life and these stories were written in the midst of it all. They're poignant, darkly humorous, and nearly always suspenseful, in a drawing-room-drama type of way. I laughed, I cried, I felt transported to Gilded Age New York City. Beautifully written, as all of Wharton's work. The stories rage from middle of the road to astonishing- Roman fever has to be one of the best short stories ever written. I finished it and went back to the beginning to start it again. I love Edith Wharton, and I needed more of her in my life after moving to New York, so I read about half of these over the span of a few months. It's time to part for now, but I'm sure I'll return to them. Wow, Edith Wharton's writing is incisive, rich, and ominous. Of course the writing is old-fashioned, which can sometimes be hard to wrap my brain around, but many of the short stories consist of flawed, nuanced characters and a very delectable, dark, twisted ending. Really good. A variety of stories, I like that she does not write the same thing again and again. My favorite story had to be Roman Fever. I felt it had a different level, different purpose. 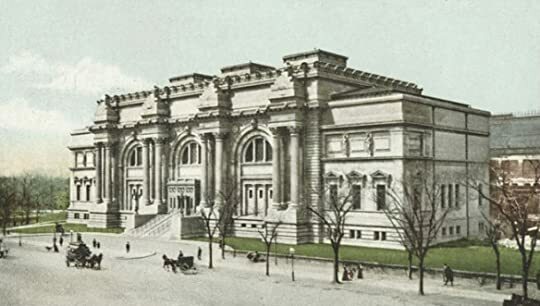 I love New York and here is a newyork from the very early 1900's. Enjoy. The later stories surprised me. I didn't expect so much would hang on the plot. Made for very entertaining reading - lots of irony, mystery and surprise, in addition to the development of character and scene. O Henry and EW have some things in common - though not their literary reputations. I had this vision that I was going to read this in Washington Square Park and imagine being in Olde New York. But it's rained the whole time I was reading it, so a no go there. I love Edith Wharton and I love New York, but if you don't, this will probably be a bit tiring. Elegant writing and a brutal contemporary assessment of turn of the Century New York and Parisian society of the belle epoch. Short stories that rival Anton Chekov both in their brevity and in their power to engage and enthrall. Edith Wharton's wit and piercing insight is still as relevant and perceptive as it must have been when she wrote. Gorgeous, unusual and sometimes darkly unexpected. Love her work! I've read a lot of books over the years. This is the first time I've read a short story collection cover to cover. Edith Wharton is a magnificent writer.